It’s no secret, I love Indian food, but I was a little hesitant on categorizing the dish I’m sharing today, shall it be under breakfast or main meal! Keema Paratha is served as breakfast in India and Pakistan. I understand why the breakfast in India and Pakistan is sometimes heavier than lunch or dinner. In these countries, people are extremely active, they mostly walk to their destination. Heavy breakfast keeps them full and energized since they may skip lunch or have it late because of their busy daily activities. There are many versions of Keema Paratha, but I kept this version light and as always saved all the flavors. 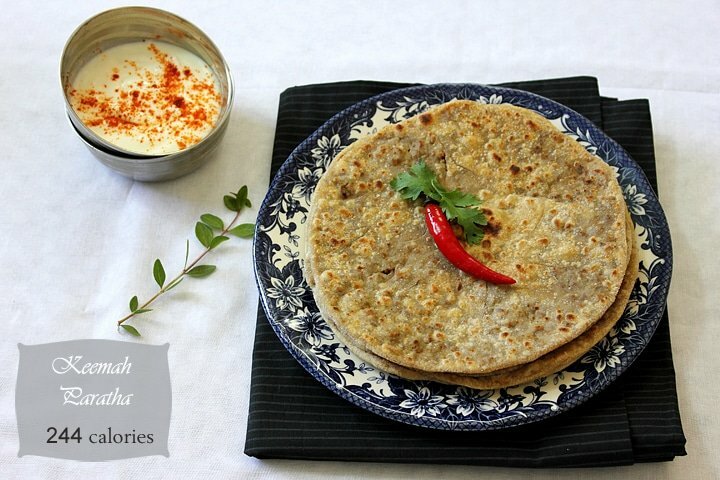 Keema Paratha is a complete meal and usually served with cold spiced yogurt on the side. 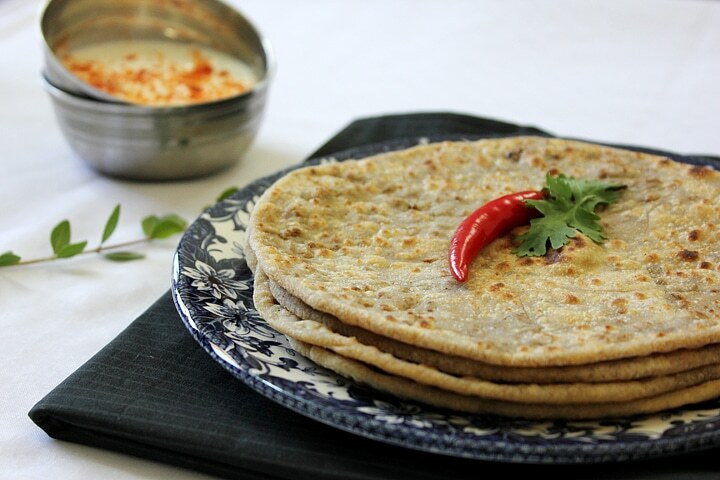 If you are not into meat, then maybe you should try my Aloo Paratha. ** 2 teaspoon oil to fry the paratha with. - In a bowl, mix the flour and salt. 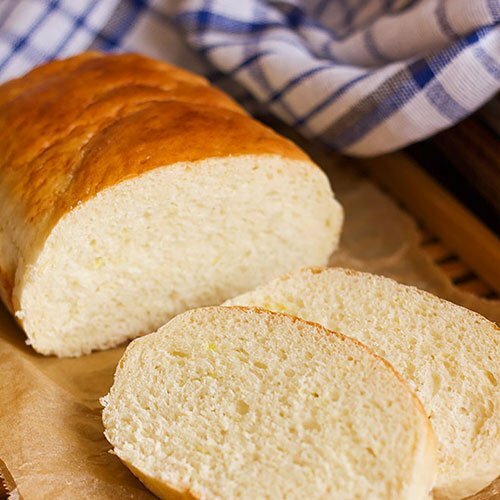 - Add the water gradually and knead for 5 minutes until you get soft none sticky dough. - Cover the dough and let it rest for at least 10 minutes, 20 minutes is preferred. - In a pan, add oil and onion, fry until translucent. Add the beef and cook for three minutes. - Add the rest of ingredients except water and chopped coriander leaves, stir for three more minutes. - Add water and let it cook until the beef is done and the water evaporates. Add the coriander leaves and stir for 1 minute. 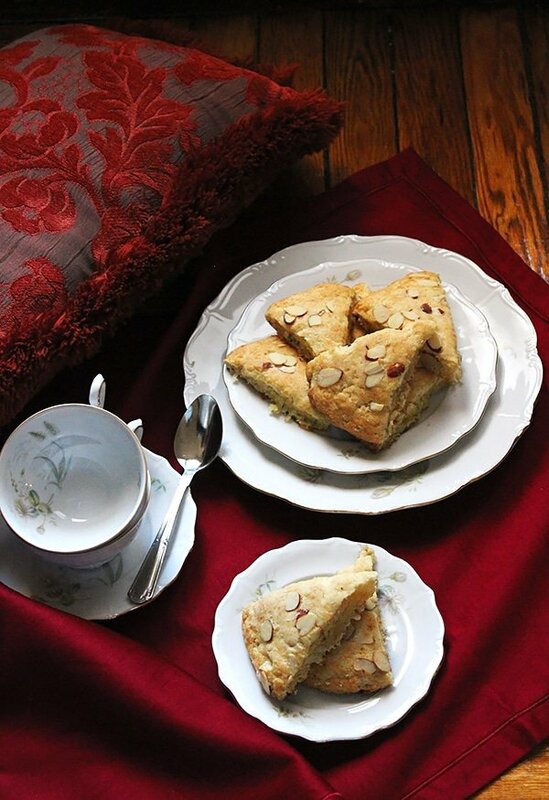 - Make four equal sized balls from the dough. - Sprinkle flour on your working surface and roll one ball from the dough to a thick 4-inch circle. - Place one portion from the keema in the middle of the circle. Fold the edges inward, you should have a sealed ball. - Roll the ball very gently to 6-inch circle. Do not worry if the keema was visible. - Heat a nonstick pan to medium. Place the paratha and brush lightly with oil. - Flip the paratha and brush with oil again, cook both sides of the paratha, making sure both sides have brown patches. 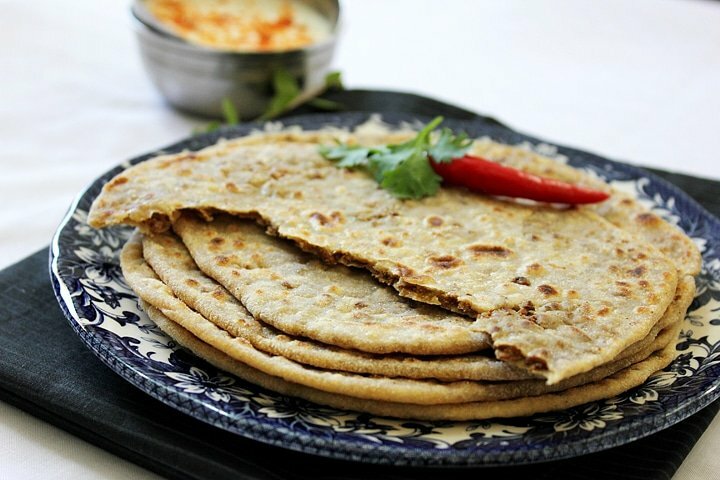 - Your paratha is ready and you should serve it immediately with some yogurt, or chutney. It makes a great snack too. They look beautifully done, Muna. That looks delightful! 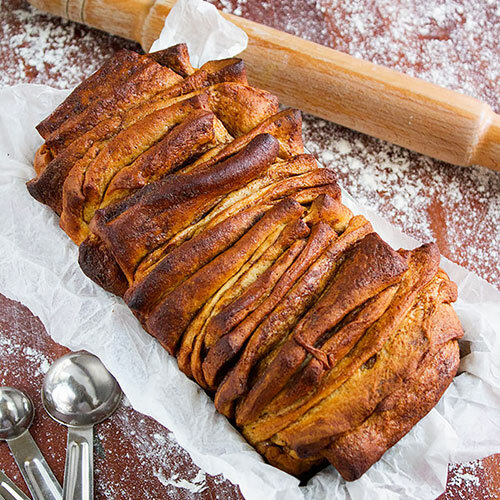 But, hey, when there is bread involved, I’m happy! I definitely want to make this.